SOFIA JERNBERG will be joining us in this summer's DISKOTEK for an array of sessions revolving around her seemingly inexhaustible palette of extended vocal technics and perpetual artistic curiosity. Sofia Jernberg is a singer and composer, born in Ethiopia. She grew up in Sweden, Ethiopia and Vietnam, and is currently based in: Oslo, Norway. Sofia is active in a wide field of music. She co-leads and composes for modern jazz octet Paavo and contemporary music quartet The New Songs. 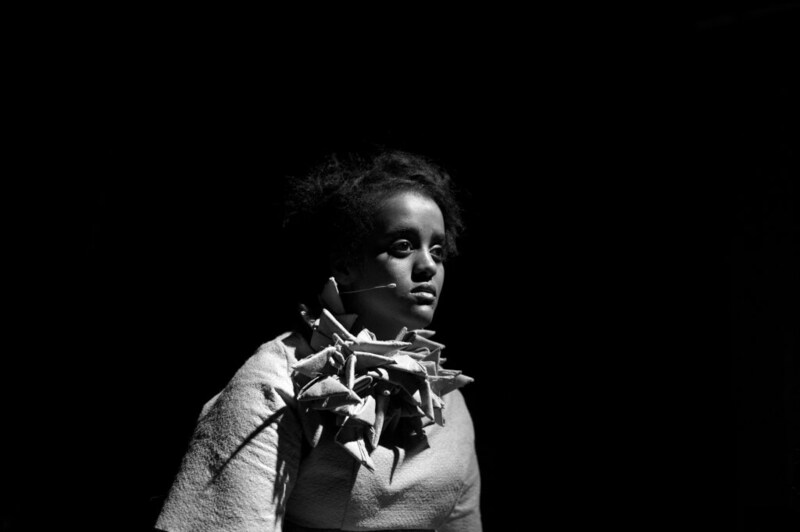 Sofia has performed Arnold Schönberg's "Pierrot Lunaire", and will be singing Salvatore Sciarrinos "Lohengrin" in 2014. One of her deepest interests as a singer is to develop the "instrumental" possibilities of the voice. After many years of work in this direction, experimenting with the role of the voice in an ensemble, she is now a permanent member in several groups that use the voice in this manner. Sofia's singing vocabulary includes sounds and techniques that often contradict a natural singing style. She has dug deep into split tone singing, pitchless singing and distorted singing. As an improviser, Sofia appears in many different constellations, but regularly in duo with cellist Lene Grenager; as a composer, her main focus lies in the blending of improvisation and composition. Besides composing for her own ensembles, she regularly gets commissions from others. In the near future collaborations with chamber ensemble DuoEgo [SE], The Peärls Before Swïne [SE], Trondheim Jazz Orchestra [NO], The Opera Group [UK] and Norbotten Big Band [SE] are awaiting. Motivation: "An innovative and uncompromising artist, a fearless musician who with great curiosity and big appetite for every kind of music breaks new ground in the area in between jazz and contemporary music." • Swedish Jazz Federations prize "Jazzkannan" for innovation in Swedish jazz. • Swedish Radio P2:s award Jazzkatten as composer of the year. Motivation: "Sofia Jernberg belongs to a new generation of musicians, improvisers and composers who seek new ways to broaden the means of expression in jazz. The Jazzkatt jury has specifically noticed that Sofia's music brings together jazz, improvisation and contemporary music. It gives proof of a fearlessness that helps develop the improvised and composed in the border area between these two forms of music. The result is a music without seams between the composed and improvised."